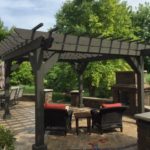 Our team is highly skilled in landscape design with extensive plant knowledge, allowing us to create a beautiful and functional outdoor space you can enjoy year after year. Softscapes, the landscaping component that brings the design to life using the perfect combination of plants, trees, shrubs and groundcover, is our area of expertise and allows us to create the outdoor space of your dreams. We have a passion for landscape art, exceptional design sense, and extensive plant knowledge that makes us the perfect choice to create a stimulating and functional softscape for your outdoor space. Our knowledge, combined with your vision for your space, gives us everything we need to create all of the key elements of softscape design such as color, texture, and contrast, to create the look and feel you want to achieve for your home or business.